Online ordering menu for Mags Deli. Welcome to Mags Deli, Mt. Kisco's hidden gem for fresh and authentic American, Greek, and Italian cuisine. at Mags, we delight in tickling our customers' taste buds with premium deli-style sandwiches, homemade soups, and specialty items charred from the grill. Locals and regulars love our Daily Hot Specials too, which include items like Chicken Parmesan, homemade Stuffed Shells, and our famous Sausage & Peppers--made with hot or sweet sausage. We offer a full breakfast menu too! Mags Deli is located near the intersection of Main St. and St.Marks/Wallace St., a few doors down for Conte's Fish Market and Restaurant, within walking distance of Northern Westchester Hospital. 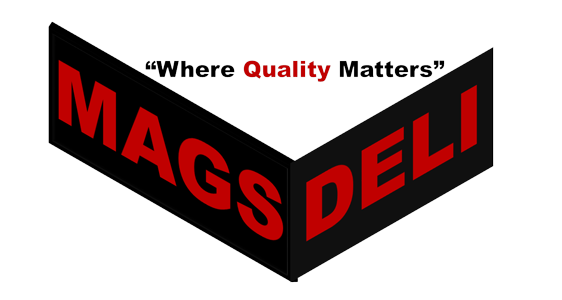 Mags Deli, "Where Quality Matters." Order Online Today!